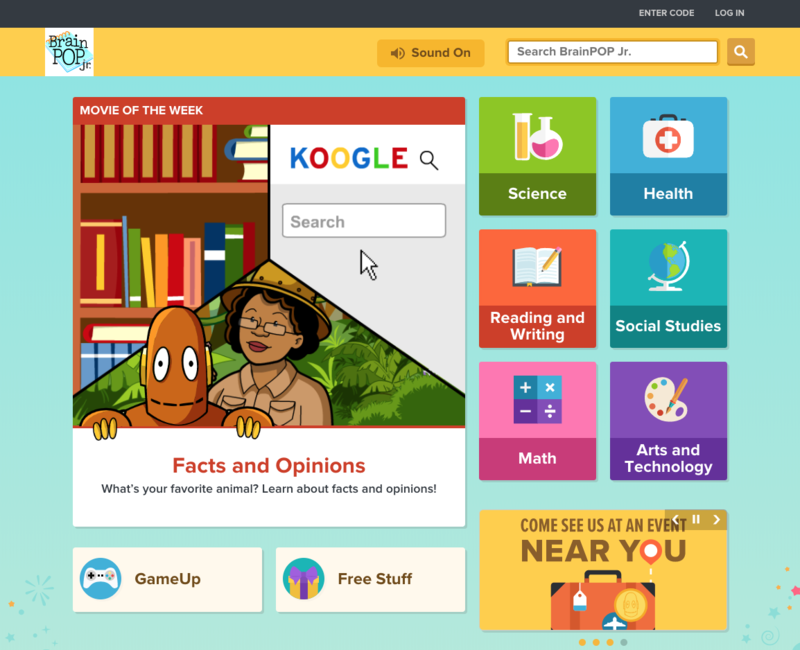 BrainPOP Jr. offers digital educational content for children in kindergarten through third grade. With over 250 topics, it gently encourages young learners to ask questions and form their own ideas. Each curricular topic includes an animated movie, learning games, concept mapping, and interactive features that help extend key concepts and meet the needs of students with different learning styles. Text is read aloud to facilitate comprehension. For which grades is BrainPOP Jr. appropriate? BrainPOP Jr. is designed with K-3 students in mind. Are BrainPOP Jr. movies aligned to the Common Core or other academic standards? Yes. Using our Standards Tool, you’ll find a searchable database that correlates BrainPOP Jr. topics and games to Common Core math and English standards. You can also search by grade level. The database allows you to correlate BrainPOP Jr. movies with curriculum standards for individual states and Canadian provinces.